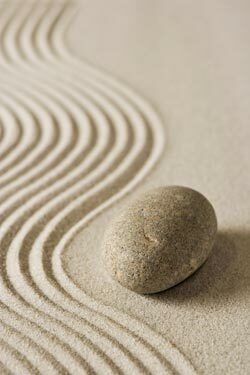 Mindfulness is an awareness that arises by intentionally paying attention to the present moment. Mindfulness has been studied for a range of medical and psychological conditions such as chronic pain, anxiety, diabetes, depression, cancer, heart disease, and stress. Recognizing the myriad physical and emotional health benefits, Mid Coast Hospital offers a variety of wellness programs to assist community members of all levels with initiating and maintaining a mindfulness practice. Please see the Current Classes button at right for a list of upcoming mindfulness offerings. It is normal to experience stress in your daily life. How you choose to respond to that stress determines its impact on your overall health and wellbeing. Mindfulness-Based Stress Reduction (MBSR) is an educational program developed by Jon Kabat-Zinn, Ph.D. The eight-week curriculum is designed to help participants cultivate mindfulness through direct practice in meditation, mindful movement, instruction, and conversation. MBSR is an eight-week course taught in 2.5-hour, weekly group classes and one six-hour weekend retreat. Participants are also encouraged to complete approximately 45 minutes of home practice per day. These one-hour, monthly classes provide an opportunity for continued teacher-led practice and reflection for those who have already completed the 8-week MBSR program. Classes will focus on guided practice (mindful movement, sitting meditation, walking meditation, the body scan), discussion of the practice and its relevance to our lives, and support for continued home practice. Seven-week training designed to reduce stress and anxiety symptoms, improve general mental health, and increase the coping skills of youth to manage daily stress. These 3-hour mini retreats will provide an introduction to mindfulness for the beginner and an opportunity for those with all levels of experience to deepen practice. Mindfulness-based exercises, meditation, and movement (stretches and gentle yoga) will be combined with discussion of the principles of mindfulness and its relevance to stress in our lives. These half-hour drop-in classes provide an opportunity for mindfulness practice for all levels of experience. Practices will change from week to week and may include mindful movement (gentle stretches and yoga), sitting meditation, walking meditation, and the body scan. There’s no need to register and prior experience is not required. Just join us in the middle of the day for an opportunity to pause, notice, and reflect.